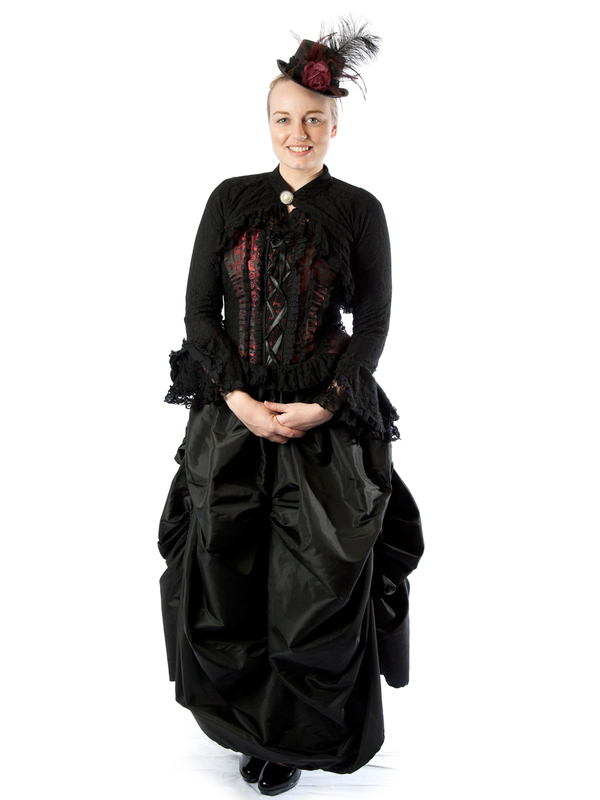 Beautiful elegant Victorian lady costume for hire. Great for a Titanic or historical theme. 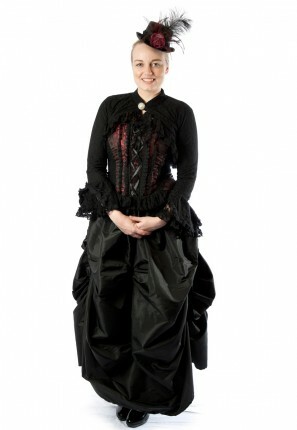 Costume includes burgundy corset, black lace top, black full length skirt and ladies top hat.